Recently at Mythmoot IV I my friend, Richard Rohlin and I were bantering nerdily, as one does, and I challenged him to write a song about Cuiviénen set to the tune of "Deep in the Heart of Texas." As is his wont, Richard took up that challenge and responded brilliantly. And if this isn't enough to spark wonder, I don't know what is. Aragorn's words here indicate that the Tale of Beren and Lúthien was not remembered and told 'aright' in places other than Rivendell. Given the multiple, unfinished or abbreviated versions of the Tale Tolkien wrote, he may well be poking fun at himself here. To say that the end of the Tale is 'not known' is not the same as to say that the lay is unfinished. Indeed the hobbits later hear it sung 'in full' at Rivendell (FR 2.iii.277). What Strider says here, at Weathertop, shows that he fully understands what Sam grasps only later on, that they're 'in the same tale still. It's going on', because the 'great tales never end' (TT 4.viii.712). Backwards and forwards swayed their song. Of Elvenesse into his words. On sand of pearls in Elvenland. The wolf howls. The ravens flee. The ice mutters in the mouths of the Sea. The captives sad in Angband mourn. And Finrod fell before the throne. On sand of pearls on Elvenland. The sound of the water sighing as it slides up the beach is one well known and well loved by me. And there's always this instant, this caesura if you will, when the water pauses ever so briefly as it reaches its highest point before slipping away down the slope. The words 'on sand, / On sand of pearls in Elvenland' mark that instant of nature and peripety, both for the Sea as Finrod conjures it and for Finrod in his battle against Sauron. The cunning of Sauron turns the memory of Finrod against itself by recalling the Kinslaying. It is a sweeping moment and the image of 'sand of pearls' is vivid and powerful not only in itself, but more importantly in its contrast to the gloom and 'red blood flowing' which is the next wave, as it were. The very images that Finrod conjures to combat the darkness themselves end in darkness. They do so now because they did so then. Paradoxically, Sauron is here the Undeceiver. 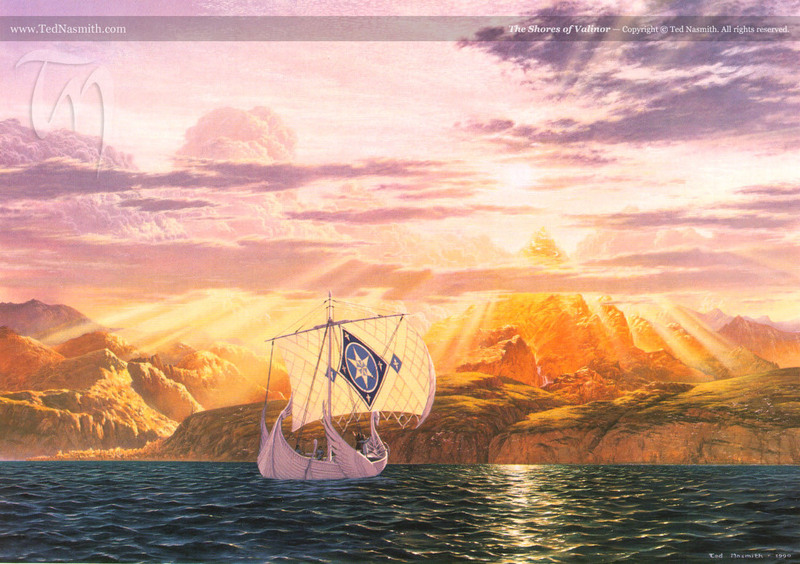 He will not allow Finrod to see the pearls shining on the jeweled strand, but forget the blood which stains them. That it was the quest to regain other jewels that led to their staining only increases the irony, and the force of what may be an implicit lesson. hoc patens unum miseris asylum. in suas condunt animos tenebras. Binds in chains of wickedness. Here a single refuge open to all the wretched. fixing your blind minds in a darkness of their own. Will deny that Phoebus' rays shine bright. It is with the image of just such a haven (portus) or refuge (asylum) that Finrod, the exile and prisoner, seeks to combat the darkness in which he finds himself. But he is as deceived as those whom the brightness of jewels deludes. Their splendor does not illuminate the mind but darkens it, because they themselves come from the lowest deeps of the earth (line 14: infimis tellus aluit cavernis). Even the pearls found on the banks of the Indus at the far side of the world lead only to darkness, as Finrod, mutatis mutandis, finds to his cost. 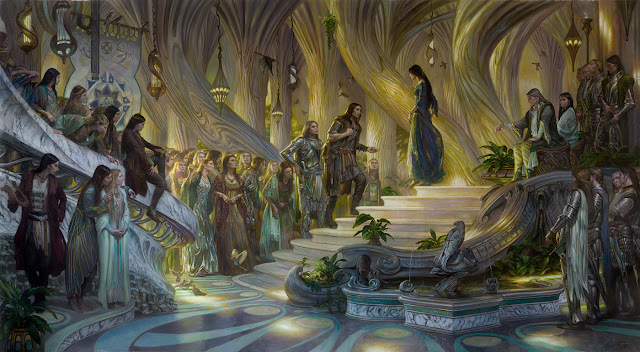 In the context of Finrod's tragic failure it is surely worth pointing out that of all the princes of the Noldor in exile he was the one who 'had brought more treasures out of Tirion' (Silm. 114). Wise and noble, kind and generous he may have been, but also not without fault. It is nothing new of course to note that Tolkien knew his Boethius, but he also seems to have drawn on him for one of his most vivid and exotic images in such away that it allowed him to give dramatic life to the ideas expressed by Lady Philosophy in her dialogue with Boethius. * This line appears to be an allusion to Horace Serm. 1.2.80, where he refers to a woman 'inter niveos viridesque lapillos', that is, ‘amid her pearls and emeralds’. 'Niveos' -- 'white as snow' -- emphasizes the shining brightness of the color, just as 'candidis' does in Boethius. Roman politicians would wear a specially whitened toga, the toga candidata, to make themselves more visible. 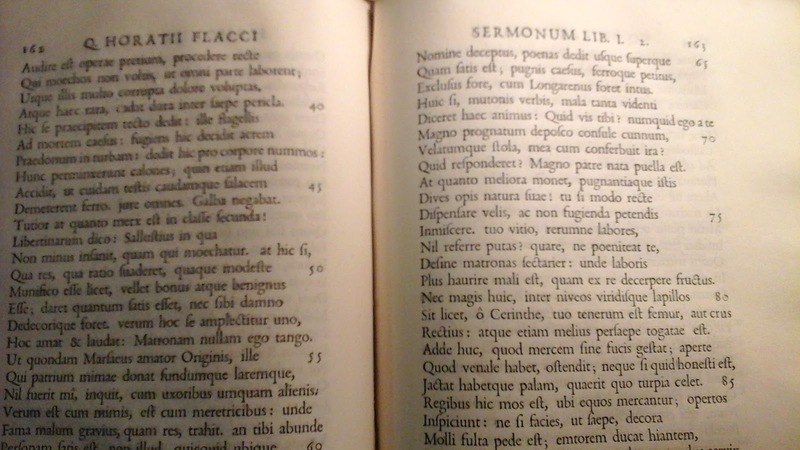 Given Tolkien's extensive reading in Classics, it is quite possible, even likely, that he will have read this satire of Horace, and so recognized Boethius' allusion. ** 'Caelum' is singular in Latin, but I have translated it as plural to avoid the suggestion that Boethius is talking about Heaven. *** The Torrid Zone was the area nearest the equator which was commonly thought too hot to sustain life. Let's look at the facts of this quote and see if we can make an educated guess about the identity of the speaker here. 'Our King, we call him' establishes the speaker as a hobbit, likely addressing an audience from outside the Shire. 'Our King, we call him' is also quite informal in tone, suggesting that the speaker is addressing someone he or she knows. The need to identify Sam as the Mayor, and Peregrin as the Thain, also indicates an external audience. Hobbits would know these facts. The reference to the Brandywine Bridge as the Great Bridge also points to an external audience, since the evidence from within the Tale indicates that amongst themselves the hobbits tended to call it the Brandywine Bridge, or just the Bridge (FR Pr. 5; 1.i.24; iii.71; iv.88; v.99 twice, 100, 107 twice, 108; viii.137; ix.150; RK 6.vii.996; viii.998 twice, 999, 1000, 1001, 1003; App A 1044; App B 1,096, 1097). 'Thain Peregrin has been there many times' dates this comment after S.R. 1434 (FA 13), when Pippin became the Thain, perhaps much later (thus, 'many times'). Since Elanor became a maid of the Queen in S.R. 1436 (FA 15), we can bring forward the terminus post quem to that year. 'So has Master Samwise' shows that Sam has not yet crossed the Sea, as he did in S.R. 1482 (FA 61). This fixes the terminus ante quem. The speaker speaks as one explaining to an outsider, pointing out that Sam is the Mayor, that Elanor is his daughter, and that Peregrin is the Thain. Identifying Elanor as the Fair and as one of Arwen's maids seems a point of local pride, like 'Our King', but claims no kinship with her. The speaker seems to be none of the hobbits mentioned in the statement. So who is the most likely candidate in the years S.R. 1436-1482 (FA 15-61) to be familiar with these matters and addressing a known audience outside the Shire in an informal tone? By far the most obvious choice would be Merry Brandybuck, who, as friend of the King -- and after S.R. 1432 (FA 11) himself the Master of Buckland -- must have been at the Brandywine Bridge to meet the King. Whom he is addressing is impossible to say, but we might guess, not unreasonably, that he was writing to Éowyn, to Éomer, or to them both, since they never forgot their friendship with him (RK App B. 1097 twice). King Elessar rides north, and dwells for a while by Lake Evendim. He comes to the Brandywine Bridge, and there greets his friends. He gives the Star of the Dúnedain to Master Samwise, and Elanor is made a maid of honour to Queen Arwen. Master Samwise and his wife and Elanor ride to Gondor and stay there for a year. Master Tolman Cotton acts as deputy Mayor. Master Tolman Cotton is Elanor's grandfather, the father of Sam's beloved wife, Rose. That he, too, is named 'Master' while serving as deputy Mayor, might suggest that the title was associated with the Office. And it may be, but there is another detail we need here. The first time Sam is called Master Samwise is by Mablung, one of the two Rangers of Ithilien who guard him and Frodo while Faramir and his other men are attacking the Haradrim. He does so as part of a jocular exchange between them. Faramir of course does not leave Sam and Frodo behind, and in their discussions he calls Sam 'Master Samwise' no fewer than four times (TT 4.v.669 twice, 679, 682). Of the nine times altogether in which Faramir addresses him by name, he always calls him Samwise (4.v,668, 677. 681; vi.684; vii.695), just as Frodo had introduced him: 'Samwise son of Hamfast, a worthy hobbit in my service' (4.iv.657). Now the use of 'Samwise' here is as remarkable as the use of 'Master'. For the present passage is only the third time we have heard Sam's full name, which does not occur within the Tale itself before this book, and both of the prior uses serve to associate Sam closely with Frodo. In The Passage of the Marshes Frodo says 'Samwise Gamgee, my dear hobbit -- indeed, Sam my dearest hobbit, friend of friends' (4.ii.624); and in The Black Gate Is Closed the narrator reminds us that Gandalf's 'thought was ever upon Frodo and Samwise' (TT 4.iii.644). The Tale of Years, moreover, parallels the pairing the narrator has here named. For until the Fellowship is broken Frodo is always referred to alone, and Sam is not mentioned at all. Yet afterwards it is almost invariably 'Frodo and Samwise' until Frodo begins suffering the aftermath of the quest. The Tale of Years gives an added subtle emphasis to this pairing by recording the births of Frodo and Sam, but not of Merry and Pippin. History seems to have suddenly taken particular notice of Sam. To these four volumes there was added in Westmarch a fifth containing commentaries, genealogies, and various other matter concerning the hobbit members of the Fellowship. The original Red Book has not been preserved, but many copies were made, especially of the first volume, for the use of the descendants of the children of Master Samwise. Once again we see the marvels of attention Tolkien paid to even the smallest details, investing great thought into creating not only the Tale itself, but also the commentaries upon it and the relationship between them and their author(s) and the text. 'Samwise' also occurs in the synopses attached to The Two Towers and The Return of the King, which leads me to wonder how Tolkien thought of them as connecting to the text. 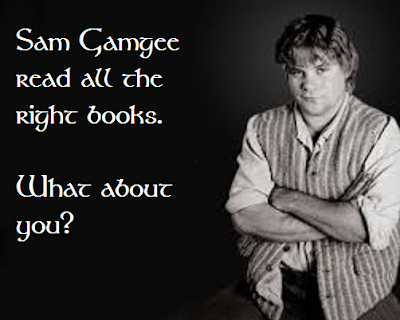 Did he, when compelled by the exigencies of publication costs, decide to incorporate into his work the idea that the one book had already been broken into three as part of its frequent copying by the descendants of 'Master Samwise'? And does the chapter title, The Choices of Master Samwise, suggest that all the chapter titles derive from the Fairbairns of Westmarch? How little escaped his eye from the top of that tower. * In Rohan, too, it seems clear: Merry is called Master nine times by the men of Rohan, including by Théoden King in his final moments (RK 5.iii.796, 800 twice, 801, 802, 803; v.831; vi.842; App. B. 1097). This may be further evidence of ancient connections between hobbits and the Éothéod, since both once dwelt in the vales of Anduin. Since Gollum also originated there, his use of it may suggest the same, even if hearing Faramir use it prompted his memory. ** One of these days I mean to investigate Gollum and Faramir as antitheses in Book 4. In a forthcoming article I argue that in The Hobbit we can see Tolkien using the fairies of medieval Romance, specifically in Sir Orfeo, to recreate Elves that can be taken seriously, like those in The Lord of the Rings and The Silmarillion, and unlike the gossamer-winged sprites of Victorian England. (I posted an earlier, much shorter incarnation of this paper here last September). One of the fascinating points to be noted in studying these texts from this perspective is that in Sir Orfeo it is Orfeo, a mortal Man, who can summon up visions by means of song, while in The Silmarillion and The Lord of the Rings this power belongs exclusively to the Elves. In my article I suggest that in the transference of this ability from Men to Elves we might be seeing the birth of what Tolkien termed 'Faërian Drama', which is 'a dream that some other mind is weaving' (OFS, 63, ¶ 74). Long Felagund watched them, and love for them stirred in his heart; but he remained hidden in the trees until they had all fallen asleep. 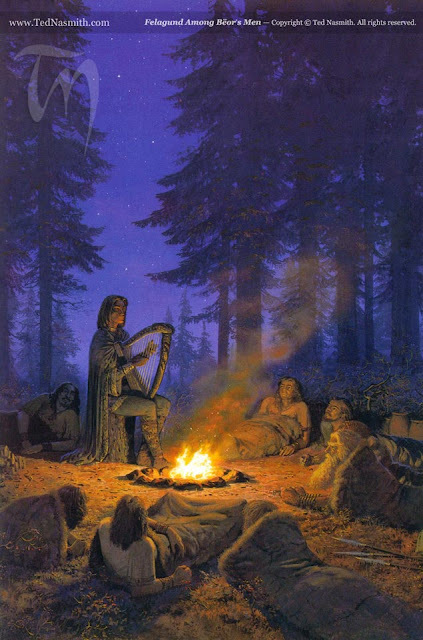 Then he went among the sleeping people, and sat beside their dying fire where none kept watch; and he took up a rude harp which Bëor had laid aside, and he played music upon it such as the ears of Men had not heard; for they had as yet no teachers in the art, save only the Dark Elves in the wild lands. 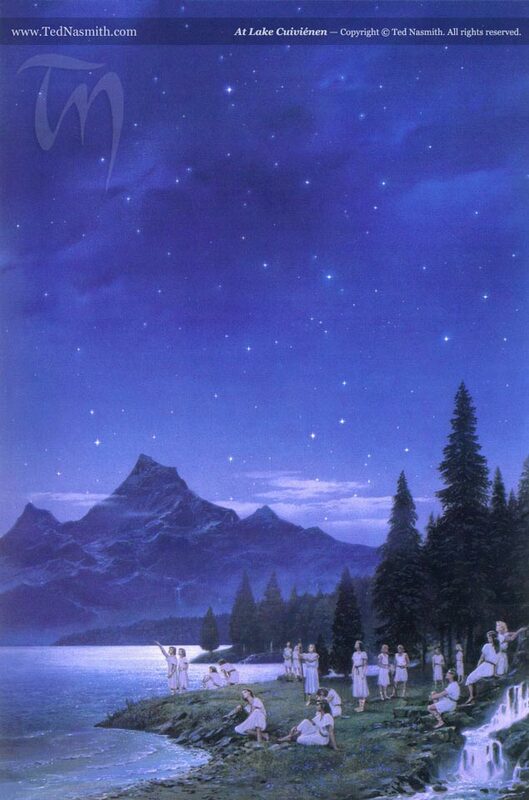 Now men awoke and listened to Felagund as he harped and sang, and each thought that he was in some fair dream, until he saw that his fellows were awake also beside him; but they did not speak or stir while Felagund still played, because of the beauty of the music and the wonder of the song. Wisdom was in the words of the Elven-king, and the hearts grew wiser that hearkened to him; for the things of which he sang, of the making of Arda, and the bliss of Aman beyond the shadows of the Sea, came as clear visions before their eyes, and his Elvish speech was interpreted in each mind according to its measure. That night Felagund went among the sleeping men of Beor's host and sat by their dying fires where none kept watch, and he took a harp which Beor had laid aside, and he played music on it such as mortal ear had never heard, having learned the strains of music from the Dark-elves alone. Then men woke and listened and marvelled, for great wisdom was in that song, as well as beauty, and the heart grew wiser that listened to it. In the passage from the Quenta Noldorinwa, which Christopher Tolkien dates securely to no later than 1930, the visionary experience of the Men is completely absent, however much they may have profited by Finrod's singing otherwise. The version of the tale we find in The Silmarillion dates to the 1950s, after Tolkien had finished writing The Lord of the Rings (Jewels, 173, 216-17). It is also worth noting here that one of the characteristics of Faërian Drama as portrayed in The Silmarillion passage quoted above is that the listener does not need to know the language of the Elves to comprehend their song. The hobbits in The Lord of the Rings have precisely this experience when they hear Gildor and his Elves singing in the woods of the Shire (FR 1.iii.79), an episode which dates to the earliest draft of what became the chapter Three's Company (Return 58-59). Haldir looked at them, and he seemed indeed to take the meaning of both thought and word. He smiled. 'You feel the power of the Lady of the Galadhrim,' he said. ... but [Tom] made no secret that he owed his recent knowledge largely to Farmer Maggot, whom he seemed to regard as a person of more importance than they had imagined. ‘There’s earth under his old feet, and clay on his fingers; wisdom in his bones, and both his eyes are open,’ said Tom. Sam and Maggot both have a connection to the earth that Frodo, Merry, and Pippin, who pretty clearly don't earn their bread by the sweat of their brows, entirely lack. The Gaffer, too, is similarly grounded in the soil of the Shire, which may be why he and Farmer Maggot can stand up to the Black Riders. In Rivendell Gandalf alludes cryptically to 'a power of another kind' in the Shire, a power that could 'withstand' evil to some degree (FR 2.i.223). He also recalls his doubts, while a prisoner of Saruman, 'that the hunters before whom all have fled or fallen would falter in the Shire far away' (2.ii.261). As far as he could remember, Sam slept through the night in deep content, if logs are contented. Given what else we've seen, however, I can only wonder if Sam's contentment and seemingly dreamless sleep, which the narrator points out twice in one sentence, have the same source, a deep connection to the earth itself, which, as Tolkien saw it, was naturally a part of Faërie even if mortals are not (OFS 32 ¶ 10). *I believe there is more to be said about the name Maggot, but that must await another day. The theme of the most recent Mythmoot -- held just this past weekend in the Khazad-dûm-like corridors of the nevertheless comfortable and welcoming National Conference Center, where the fish entrees were always, fittingly, tasty -- was 'invoking wonder.' To be honest, my eye is a bit jaundiced when it comes to themes, which inspire me to think of (un-)motivational posters about the unstoppable power of one's dreams. But I am too much of a romantic to be anything but an easy prey to cynicism. And yet I knew exactly where the fair folk of Mythmoot were coming from when they spoke of the importance of wonder and the first moments in their lives that they could recall experiencing it. For me that moment came in or just after September 1966, when I heard the words "Space, the final frontier...." for the first time. There was something about the music and the way William Shatner said these words that moved me, that opened vistas of space and time for me the way the words "Eala Earendel, engla beorhtast" did for Tolkien, and "Balder the beautiful is dead, is dead" did for C. S. Lewis. Many years later, in an interview after Kirk died in Star Trek: Generations, William Shatner said of the moment of Kirk's death on screen that Kirk "faced death as he had faced all those aliens, which was a mixture of awe and wonderment...." Shatner also said that it did not come through on the screen. It did for me. It was perfectly clear to me, just as the sense of awe and wonder with which Kirk approached "all those aliens" always had been. There were quite a few such moments over the years. There was "second star on the right and straight on till morning at the end of Star Trek VI: The Undiscovered Country; there was Kirk's "young, I feel young" at the end of Star Trek II: The Wrath of Khan. For me, and for my memory, wonder began here. But it's come in a thousand different forms since then, in experiences as well as in books. That beautiful late summer afternoon over two decades ago, as our boat approached the harbor. The was setting sun before us, and the land's violet shadow reaching out towards us. It was drowsy and balmy and I was standing by the transom to enjoy the breeze. My eyes were unfocused but looking over the side at the swells we were soaring through. Then something else moved that wasn't the water. Beside us a humpback whale crested the surface to take a breath. I gasped. Somewhere in my mind the crew of The Pequod were shouting "she breaches", but all I could do was gape. By the time I was able to say anything to the others on board, who were all in the cabin, the whale was gone. Every night in a chill Vermont winter, with the snow crunching beneath our feet as Argos and I walked past the dark wood, as the trees popped in the frigid air, and the luminous green curtain of the Northern Lights swayed and shimmered around us. The day I saw an eagle lazily pivot 360 degrees on a wingtip, as if he were doing it just because he could. "It may be laid down as a general rule that if a man begins to sing, no one will take any notice of his song except his fellow human beings. This is true even if his song is surpassingly beautiful. Other men may be in raptures at his skill, but the rest of creation is, by and large, unmoved. Perhaps a cat or a dog may look at him; his horse, if it is an exceptionally intelligent beast, may pause in cropping the grass, but that is the extent of it. But when the fairy sang, the whole world listened to him. Stephen felt clouds pause in their passing; he felt sleeping hills shift and murmur; he felt cold mists dance. He understood for the first time that the world is not dumb at all, but merely waiting for someone to speak a language it understands. In the fairy's song the earth recognized the names by which it called itself" (Jonathan Strange and Mr Norrell). Whenever I discover the joy of silence, sitting by my window with a book, listening to the birds singing and the wind in the leaves of the oak trees. That day underwater in Bonaire, as I looked down at my buddy 30 feet below me, and watched his bubbles rise towards me; and when they came within a couple of feet, I realized I could see my reflection in their surface. The description of the history of the dragon's hoard in Beowulf. The adagio of BWV 1060, especially this version. How even now, eleven years after she died, I can still feel the softness and warmth of my mother's hand in mine. The still, small voice that comes after the earthquake, the fire, and the whirlwind. I could easily keep going with this list, since the things on it, and a hundred other things like them, and still others of a joy or sorrow too private to tell, are the things that help me keep going. That's what wonder does. It beckons me onward and bids me hope. Following isn't always an easy thing for me. My eyes tend to look back and rest on the things that went wrong. By all rights I should have turned into a pillar of salt long ago. Yet maybe there's a place where wonder can help to balance past and future. It's a hope like this that has always made me so fond of one particular poem in The Lord of the Rings. Even as a child reading this book for the first time, and knowing nothing of what it's talking about, this poem about wonder moved me. Whether that makes my soul old or prophetic, I don't know.